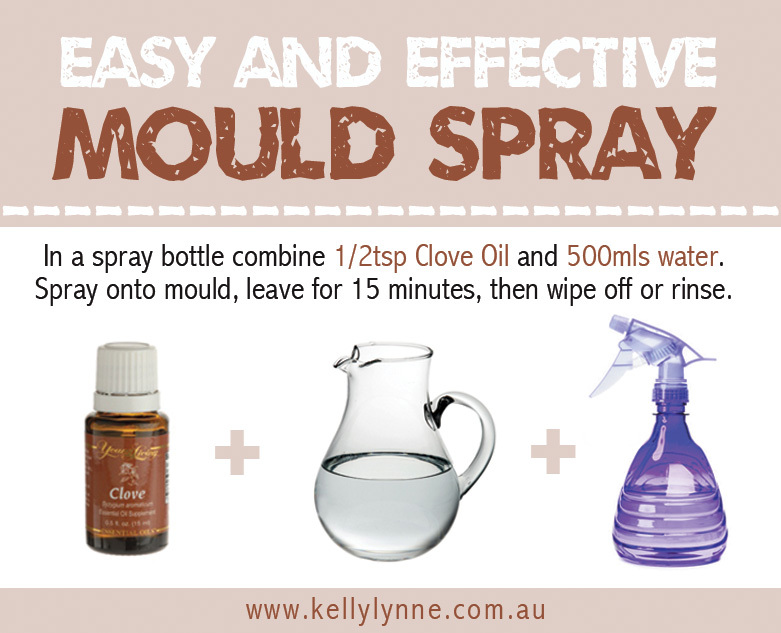 This safe and effective clove oil spray will kill mould at the spores. Keep a spray bottle on hand and spray once a week or so. I suggest wiping clean with a wet sponge. You can buy oil of cloves (clove essential oil, clove bud oil) from most chemists, organic stores or health shops. I use the Young Living brand. For stubborn mould you may need to scrub the effected area, spray again and leave overnight. Some precautions when using clove oil include: Possible skin sensitivity. If pregnant or under a doctor’s care, consult your doctor. Check with your health care provider if taking a blood-thinning medication. Always dilute before using on skin. Keep out of reach of children.